It’s time to take proper care of your car! Maintaining your vehicle is indeed very important if you want to keep it in optimal condition for a long time and it is also a matter of personal image. What would you think of someone who is riding a dirty car with the backseat full of trash? Our mobile car detailing business is here to make your car look good both from the inside and the outside and we will pay attention to every detail in order for your car to look as good as new. Call us whenever you want, for weekly, monthly or quarterly upkeep. We can take care of your personal vehicle but also of your company’s fleet since this is an important part of your business’ image. Minimize downtime and make your fleet and employees ready to go whenever you need it. ​Auto detailing is a great investment that is generally worth every cent. Preventing or reversing signs of aging on your car is our specialty and we use the absolute best car detailing products to get the right results that will make you proud of your car again. 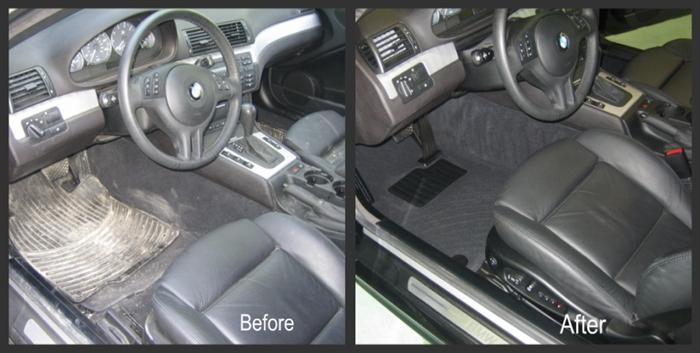 We focus on each part of your vehicle individually and clean it thoroughly. Car detailing goes way beyond car wash services, cleaning windows, or waxing. Our team follows a multi-step process and washes every square inch of your exterior before turning to the inside. The exterior is extremely important since this is what the other people notice first. A lot of time and effort are spent on your car’s body in order to make it shiny again. Restoring your car’s gloss is our main focus and if we have to paint it for that, we will. It is pretty common for a vehicle to lose its shine over time with the passing of years. Once it is done, we can switch our attention to the rims, tires, wheels, and windows to perfect the job. Say goodbye to the dirt, mud, grease, and blemishes! The mobile car detailing business we have created stems from our passion for cars. We love them all and want to service as many cars as possible in the area. Every single aspect of car detailing will be taken into account: interior detailing, exterior detailing, and full detailing depending on what you need. You can even combine both of them to get the best possible results. Take a look at our detail packages and pick the one that fits your requirements. Our prices are competitive without being cheap. We are here to offer value so being the less expensive on the market is not our goal. Value equals time, effort, and also means offering close-to-perfect customer care. Check our website for more details on our pricing or ask us directly on the phone. We have created great packages for cost-conscious customers and we are sure that you will love everything that is included in them. We try to be as green as possible which means using less water, whenever possible of course and using eco-friendly products to limit the number of chemicals and harmful substances. If you are looking for integrity, quality, and reliability, you are definitely at the right place with us. You soon will be able to enjoy a spotless, squeaky clean vehicle. Remember: your car is a reflection of yourself! We have been operating for several years now and we have experience handling all type of makes and models. Our mobile service is specifically designed to come straight to your home or office so you don’t have to waste time. We are extremely flexible and will work around your schedule so you don’t have to rush home or leave your house later in order to get your car serviced. You are guaranteed to be satisfied with us. Our team members will not leave until you are happy with the results and how your car looks like. We are fully licensed and insured and our staff is trained, skilled, experienced, legally employed and insured too. You will love how friendly and reliable our staff is. We often hear the locals say “I need to find a mobile auto detailing company near me” and this is the main reason why we have decided to create our business in the Sunshine City, to better serve the needs of the local residents. Our office is locally-based too of course. ​Get in touch with us today at 727-222-4511 and discover more about our vehicle detailing services in the St Petersburgh-Tampa area. Our car detailing experts are ready to answer all your questions and to give you some useful tips and insights about how to perform vehicle maintenance. An NCN Services LLC Company.